If you’ve been itching to get your twitchy thumbs on the Xperia Play, Sony Ericsson’s much-anticipated PlayStation phone, you don’t have to wait much longer. Sony has said that it will reveal more about the phone’s capabilities (and launch date details) on 13 February. For now, the Super Bowl ad showed that the handset’s games controller slides out from beneath the screen. In its hands-on preview of the device last month, Engadget reported that the Xperia Play has a 4-inch multi touch 854 x 480 LCD, driven by Sony’s Bravia screen technology. The site also claimed to have been tipped off that it features a single-core Qualcomm MSM8655 CPU. Sony has spotted the rise of the powerful smart phone as threat to its games hardware business. The latest mobile devices from Apple, Samsung, LG and so on are more than capable of playing quality casual games with plenty of connected features. And with handsets now featuring dual- and even quad-core processors and advanced graphics processing hardware, we’re seeing 3D gaming experiences that rival those on Sony’s PSP handheld console. There are two potential problems here. One is brand dilution. PlayStation has always been a pretty straight forward proposition for the consumer: there was a home console and a mobile platform, and these were discreet but also 100% compatble. Introducing an extra smart phone into this equation may well confuse customers who don’t immediately get the differences between the NGP and the Xperia Play. This is not even Sony’s first PlayStation phone – 2009’s Sony Ericcson Aino featured PlayStation 3 compatibility, but it was complicated to initiate and the functionality was limited. 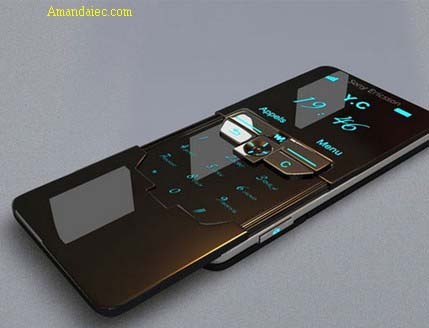 Sony Ericsson’s PlayStation phone will run Android 2.3 on a 1GHz Qualcomm processor and will feature a front facing camera and a 5-megapixel rear-facing camera. Underneath the 4-inch capacitive touch screen is a slide-out gaming pad with PlayStation keys, a touch joystick, and a D-pad.